PatientsLikeMe is a leader in capturing patient experience insights – now it’s taking its research to the next level by combining it with molecular and clinical data. It has teamed up with informatics company M2Gen to combine patient experience insights with molecular and clinical data – a pioneering move which should increase the value of its ‘real-world data’ significantly. The new project is also remarkable because it advances PatientsLikeMe’s work with pharma – the research is being funded by AstraZeneca (AZ) and Genentech (Roche’s biotech arm), both of which have a major interest in the lung cancer field. 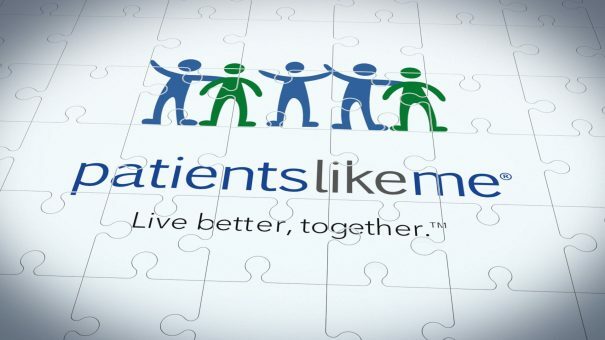 First set up in 2004, PatientsLikeMe has been successful in creating communities of interest online for people with specific diseases and conditions, not just as a source of mutual support, but as a means for generating new insights to improve people’s lives and help research. Until now, the site has focused on ‘self-reports’ on people’s symptoms, quality of life, outcomes and feelings about their disease and medication. The company has been looking to augment these data with other sources – electronic health records (EHRs), wearables, and more. The site now has more than 400,000 members, representing more than 2,500 different conditions, and many of them are keen to contribute to research that could eventually benefit patients everywhere. The new research project aims to build up a better picture of patients’ experiences of cancer treatments, with the aim of uncovering factors which may affect outcomes and quality of life. M2Gen and PatientsLikeMe will collect and analyse patient-reported outcomes shared by the community’s members. This will then be combined with molecular and clinical data from EHRs shared by patients enrolled in the Total Cancer Care Protocol at Moffitt Cancer Center and The Ohio State University Comprehensive Cancer Center – Arthur G James Cancer Hospital (OSUCCC – James) and Richard J Solove Research Institute in Columbus. The collaboration’s initial study is expected to commence within the next few months, and will focus on lung cancer – the world’s biggest cancer killer. The last few years have seen an explosion in the number of research projects aimed at understanding the genomic basis of cancer – something which is being facilitated by faster and cheaper tumour diagnostics and genomic sequencing. Moffitt Cancer Center and OSUCCC – James are founding members in the Oncology Research Information Exchange Network (ORIEN), a research partnership among some of the top US cancer centres. M2Gen guides ORIEN’s operations and strategy and Dr William S Dalton, Founder and CEO of M2Gen, said the collaboration will help guide how cancer care evolves. Of course pharma companies are increasingly developing cancer treatments which target sub-types of cancer driven by specific gene mutations, such as EGFR and ALK. AZ and Genentech have a major interest in the field of lung cancer, with existing products and new and late-stage pipeline treatments as well. AZ’s new non-small cell lung cancer (NSCLC) treatment Tagrisso was approved in the US in November, while Roche has the competing EGFR+ market-leading treatment Tarceva. Both companies also have late-stage PD-L1 immunotherapy drugs in development for lung cancer, with Roche’s MPDL3280A looking particularly promising, having gained a US FDA breakthrough therapy designation early last year. So just how will this research be used by the pharma companies? Genentech told pharmaphorum by email that there are no plans to use the data generated from the project in a filing ‘in the short term’ – but didn’t rule out such a move in years to come. For now, Genentech says the data could be used for publications that would inform health care decision makers on the real world patient experience (e.g. quality of life), effectiveness, and safety associated with various medicines, and to inform future medical research. Guy Yeoman, VP Patient Centricity at AZ, said combining the EHR data with patient perceptions could bring about very meaningful change. 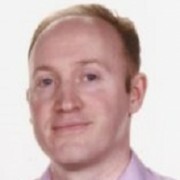 “By linking medical record data with insights from the patient we will enable more informed decision making by all stakeholders in healthcare delivery, including the regulator, to help achieve better patient outcomes,” he told pharmaphorum via email. PatientsLikeMe is a for-profit company, though it says it has a “not-just-for-profit attitude”. Its business model involves a tricky balancing act: while it expands its services to pharma, it must maintain the trust of the patients participating in the research and allowing their anonymised insights to be passed on to commercial partners. Most importantly PatientsLikeMe has to ensure such projects support the needs of patients, and are not just used as research tools. Addressing these issues, Martin Coulter told pharmaphorum that the project is aimed at giving patients more information, allowing them to make informed decisions about their care. He explained that the company tells its members who is sponsoring research, and gives them a choice to participate. The results of the work are then returned to these participants first, so that they can learn from the shared experiences of others. He added that analysis of data from EHRs – known as ‘structured data’ – would play a big role in advancing research and clinical practice. PatientsLikeMe is certainly a pioneer in the field, but there is now growing competition – not least from the US government-sponsored Precision Medicine Initiative. This ambitious project wants to recruit 1 million or more volunteers to help create a rich database of human biology, behaviour, genetics and environmental data to help support new research and move towards ‘precision medicine’. These developments are exciting harbingers of the future of healthcare, driven by increasingly diverse and rich sources of data. This presents enormous technical challenges in integrating bioinformatics into routine clinical care, for instance, but will undoubtedly transform healthcare over the coming decades.